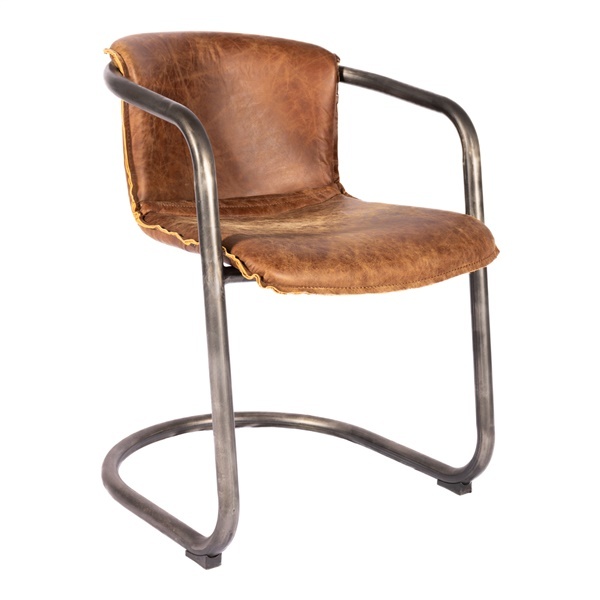 In the Benedict Dining Chair by Moe’s, a vintage vibe and an industrial edge are combined in a design that is surprisingly versatile in the modern space. Smooth yet weathered leather offers the look of well-loved luxury, while generous fireproof foam cushioning and curvy contours atop a stable frame of iron promise years of comfort to come. Minimalist style with industrial influence. Quality upholstery of lush leather. Simple yet stable iron base. Durable frame of quality wood. Comfortable contoured seat and back.